Vitamin supplement use after breast cancer diagnosis is common, but little is known about long-term effects on recurrence and survival. We examined postdiagnosis supplement use and risk of death or recurrence in the After Breast Cancer Pooling Project, a consortium of four cohorts of 12,019 breast cancer survivors from the United States and China. Post-treatment supplement use (vitamins A, B, C, D, E, and multivitamins) was assessed 1–5 years postdiagnosis. Associations with risk of recurrence, breast cancer-specific mortality, or total mortality were analyzed in Cox proportional hazards models separately by cohort. Individual cohort results were combined using random effects meta-analysis. Interactions with smoking, treatment, and hormonal status were examined. In multivariate models, vitamin E was associated with a decreased risk of recurrence (RR: 0.88; 95 % CI 0.79–0.99), and vitamin C with decreased risk of death (RR: 0.81; 95 % CI 0.72–0.92). However, when supplements were mutually adjusted, all associations were attenuated. There were no statistically significant associations with breast cancer mortality. The use of antioxidant supplements (multivitamins, vitamin C, or E) was not associated with recurrence, but was associated with a 16 % decreased risk of death (95 % CI 0.72–0.99). In addition, vitamin D was associated with decreased risk of recurrence among ER positive, but not ER negative tumors (p-interaction = 0.01). 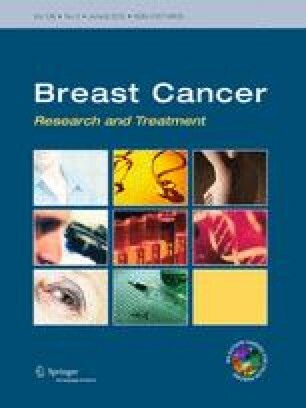 In this large consortium of breast cancer survivors, post-treatment use of vitamin supplements was not associated with increased risk of recurrence or death. Post-treatment use of antioxidant supplements was associated with improved survival, but the associations with individual supplement were difficult to determine. Stratification by ER status and considering antioxidants as a group may be more clinically relevant when evaluating associations with cancer risk and mortality. The online version of this article (doi: 10.1007/s10549-013-2548-4) contains supplementary material, which is available to authorized users. The NHS thanks the following state cancer registries for their help: AL, AZ, AR, CA, CO, CT, DE, FL, GA, ID, IL, IN, IA, KY, LA, ME, MD, MA, MI, NE, NH, NJ, NY, NC, ND, OH, OK, OR, PA, RI, SC, TN, TX, VA, WA, and WY. This study was supported by the National Institutes of Health (R01 CA118229-03S1, R01 CA118229, R01 CA129059, P01 CA87969, and T32 CA009001); the U.S. Army Medical Research and Materiel Command (DAMD 17-02-1-0607); and Susan G. Komen for the Cure (KG100988).